The figures were collated by the audit office to highlight the variety of healthcare provided across the UK. 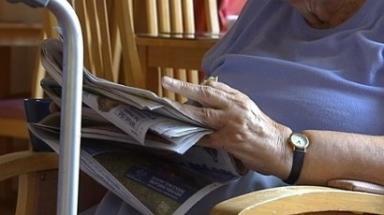 People in Scotland will not live as long as their English neighbours, new statistics show. The average Scottish man will live to the age of 75.9 while male Englishmen will live to 78.6. Similarly, Scottish girls born between 2008 and 2010 have a life expectancy of 80.4 years, which is 2.2 fewer years than English girls, who are expected to live to 82.6. In Wales and Northern Ireland, the average life expectancy for men is 77 while women are expected to live to be 81. The figures, published by the National Audit Office (NAO), were collated to highlight the variety of healthcare provided across the UK. The research suggests that in 2009, GPs in Wales and Northern Ireland each had 1,538 patients while those in Scotland cared for 1,250 patients each. GPs in England had 1,428 patients each and were paid almost £20,000 more than their Scottish colleagues. English general practitioners had an average taxable income of £109,400 while Scottish GPs were paid £89,500. Welsh GPs earned an average of £93,500, while those from Northern Ireland were paid £91,400. In the last decade, spending on health services has more than doubled from £53 billion in 2000/01 to £120 billion in 2010/11. The NAO said spending had increased consistently across all four nations but England spent the least money per person on health services in 2010 to 2011. The report found that accident and emergency cases had increased in hospitals in all four nations. Across the UK, there had been significant improvements in levels of hospital bugs, authors of the report said. In the four years to 2010/11, rates of the MRSA infection dropped by a third or more in all nations. In Scotland, the number of cases dropped by 62%, England by 67%, in Northern Ireland by 43% and in Wales by 38%. Amyas Morse, head of the National Audit Office, said: "We publish this report at a time when the NHS across the UK is under increasing pressure to use resources more efficiently. "Funding is tighter while the demand for healthcare continues to grow as a result of an ageing population and advances in drugs and technology. "We consider that there would be value in the health departments in the four nations carrying out further work to investigate the variations in performance and identify how they can learn from each other to achieve better value for money for taxpayers and better care for patients."